Perseverance Estate is situated between the historic towns of Alexandra and Clyde, at Mutton Town Gully, in the Alexandra Basin, the heart of Central Otago - New Zealand’s premier Pinot Noir producing region, The vineyard takes its name from a current wheel gold dredge that worked at Mutton Town Point on the Clutha River from 1886 until 1889. Perseverance was and still is a vital ingredient in the recipe for surviving in this challenging climate. This family owned boutique vineyard produces handcrafted, single vineyard award winning Pinot Noir, Pinot Gris, Rosé and Pinot Cousins dessert wine. Perseverance Estate is situated in the Alexandra Basin, part of New Zealand’s premier Pinot Noir producing region – Central Otago. 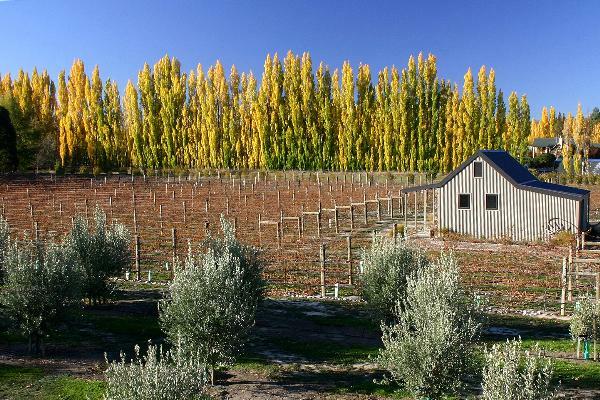 The vineyard derives its name from a current wheel gold dredge, that worked the Clutha River 1886-1889. This family owned boutique vineyard was planted in 2003, producing handcrafted award winning Pinot Noir, Pinot Gris and Rosés.